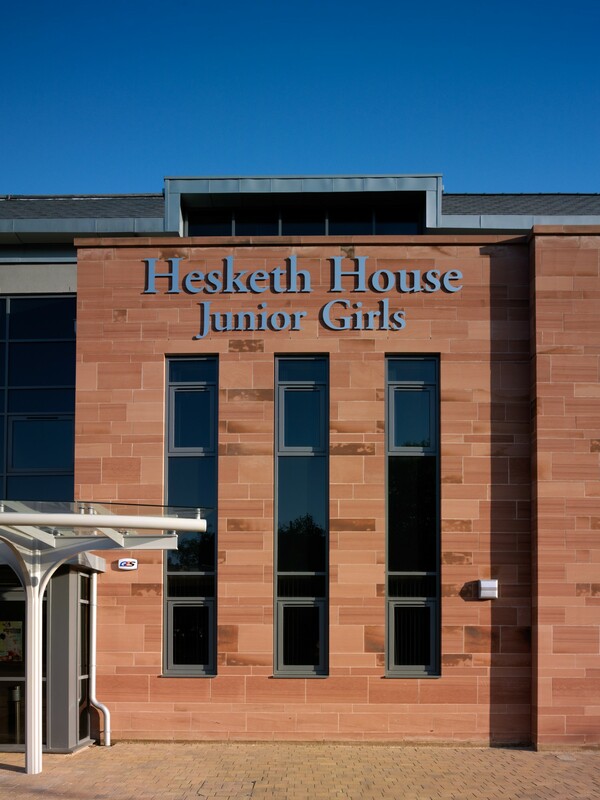 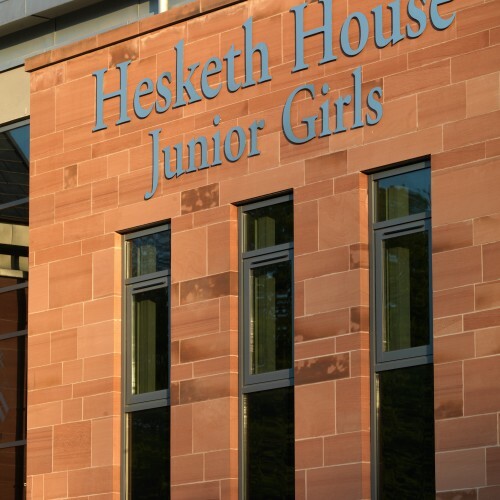 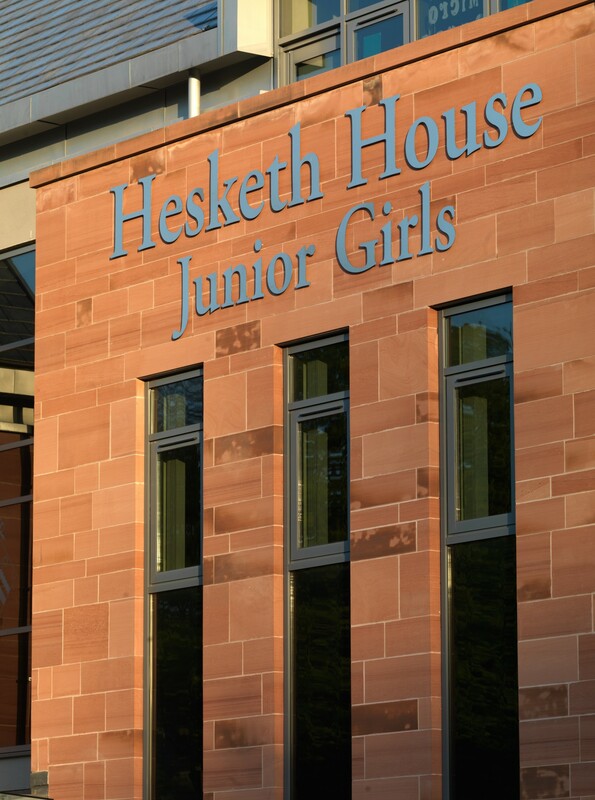 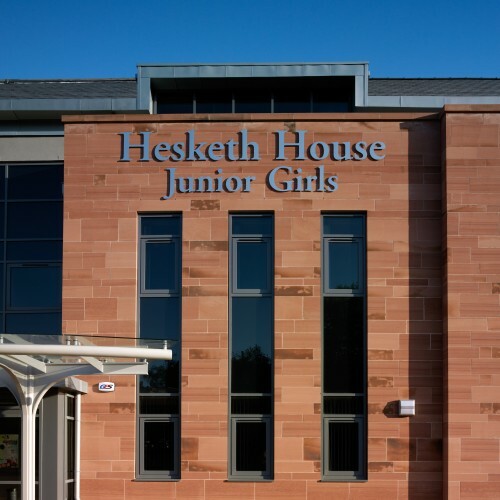 The brief was to design a new two- form entry Girls’ Junior School on a site previously occupied by the former Infant’s School, Beech House which lies at the heart of the school campus. 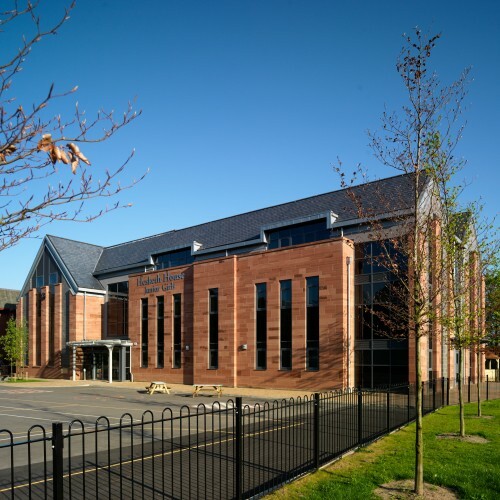 The facility was a continuation of the of the extensive re-development of the Bolton School Campus. 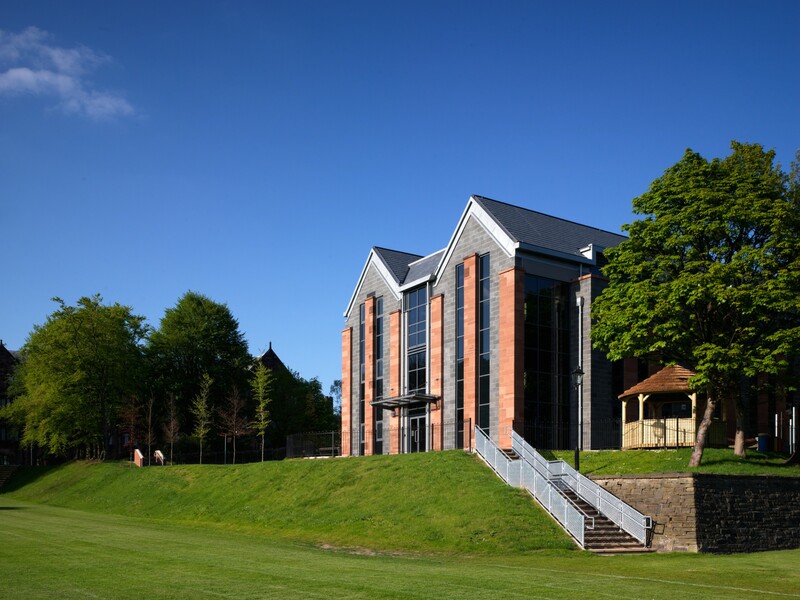 The completed design provides a state-of-the-art education facility within an historical setting. 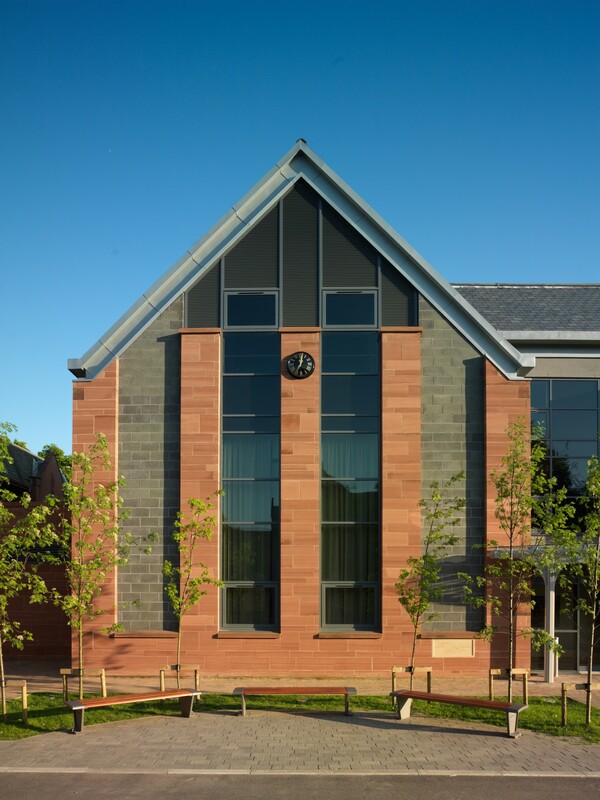 The two form entry junior school integrates traditional and contemporary materials in a modern style. 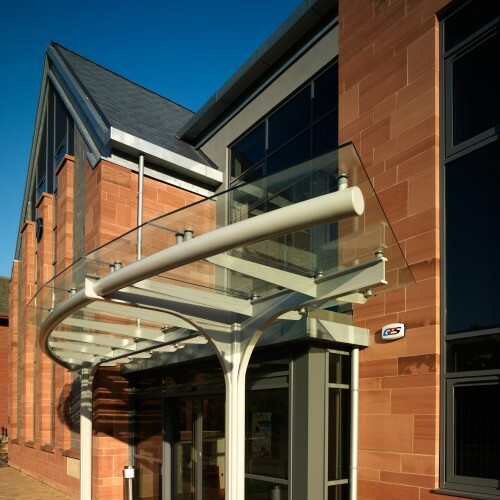 Reference is made to the existing Grade II listed buildings through the use of matching materials and design features. 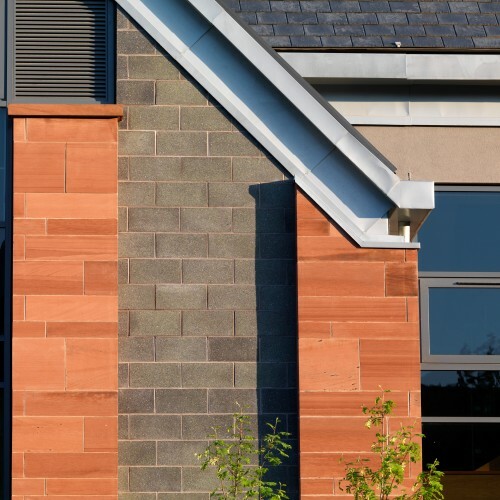 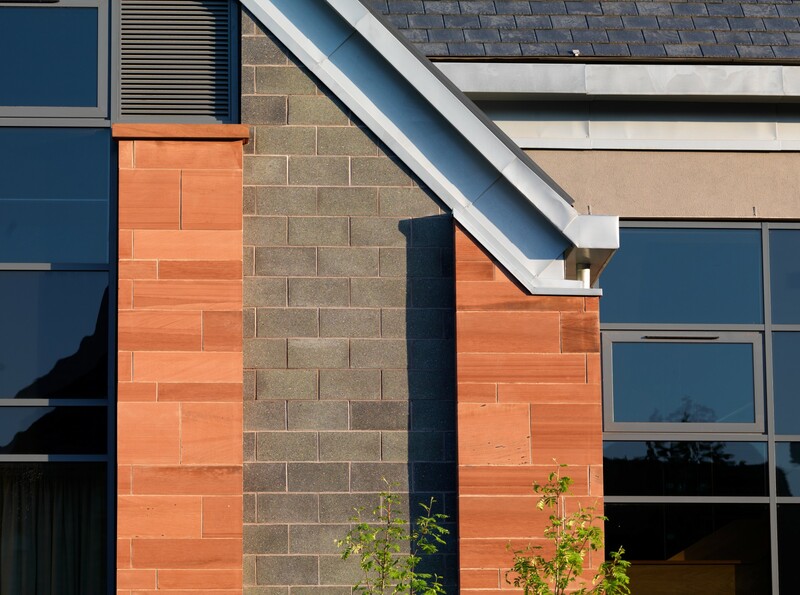 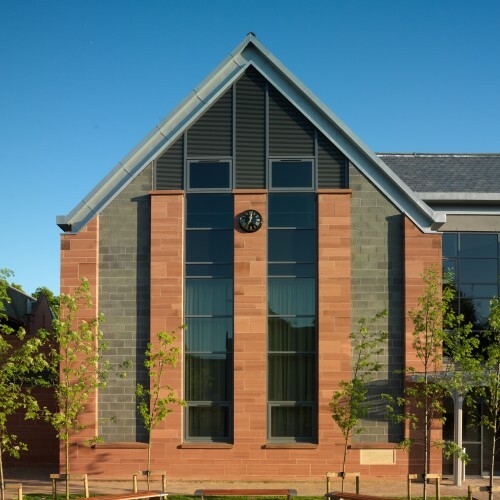 Red sandstone was used extensively throughout the design as well as reconstituted slate, polished architectural masonry, render and zinc. 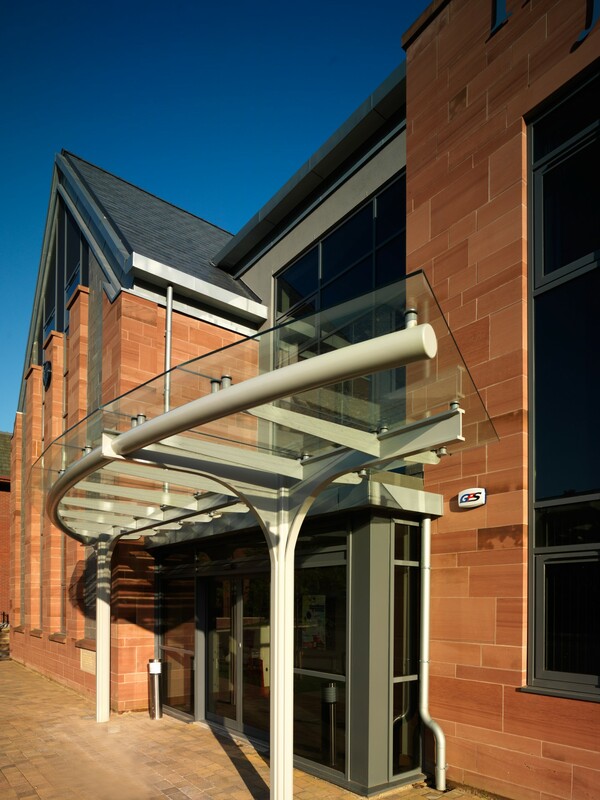 The clearly defined main entrance leads into a secure reception area. 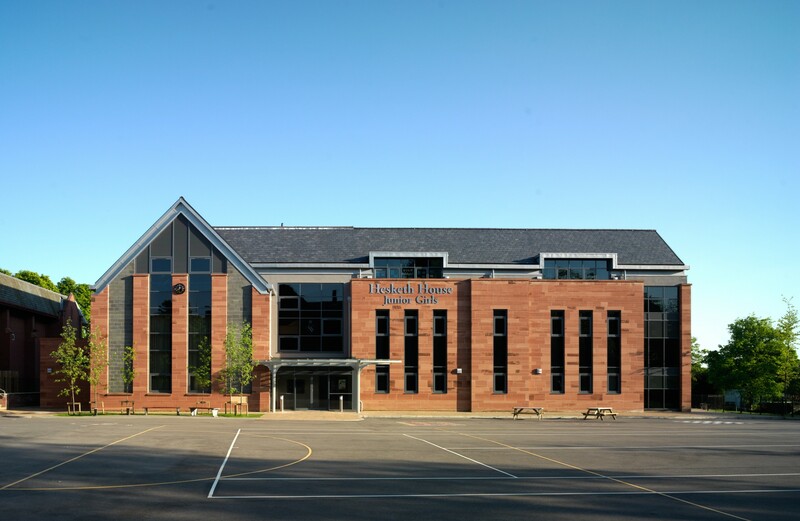 A large hall offers space for assembly and dining. 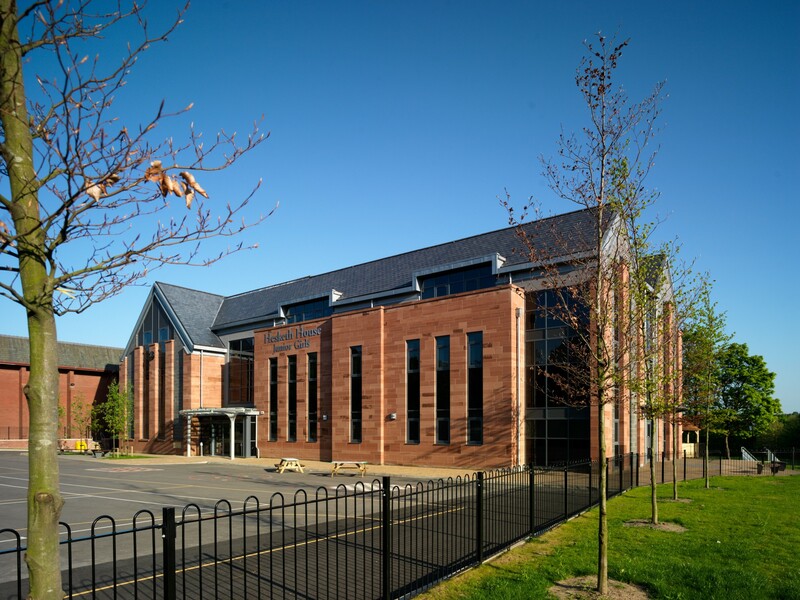 This space can be further extended into the music and drama room which creates an obvious space for a stage during productions. 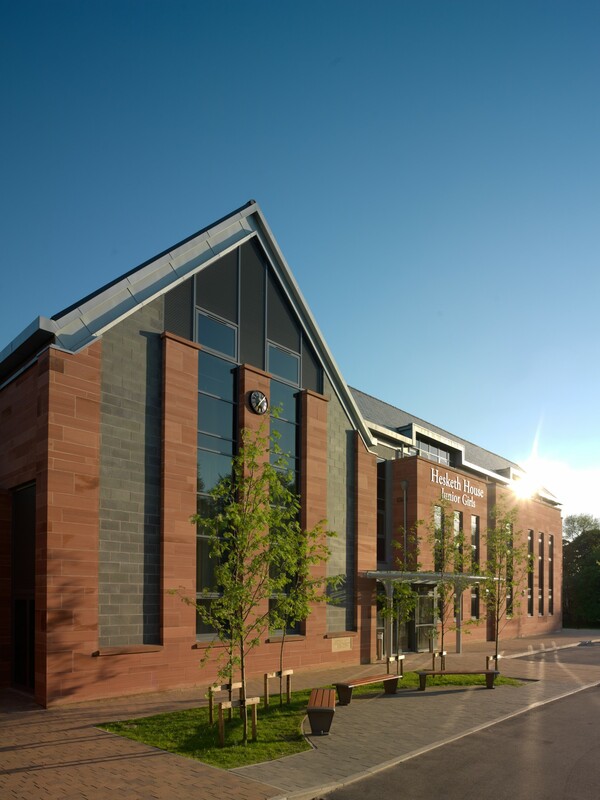 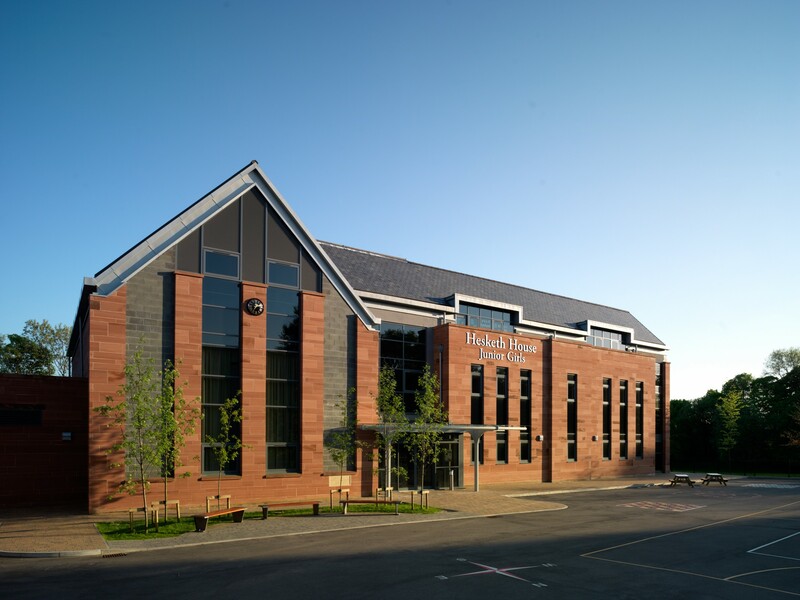 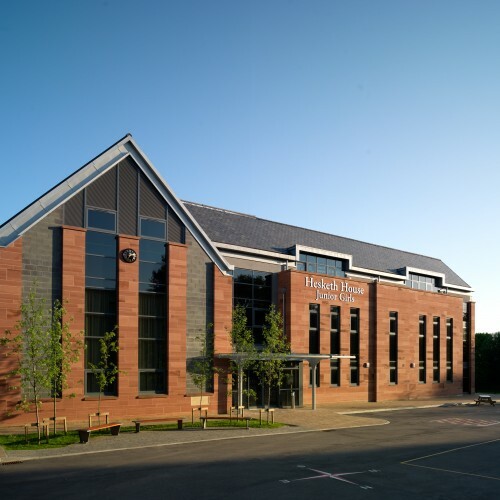 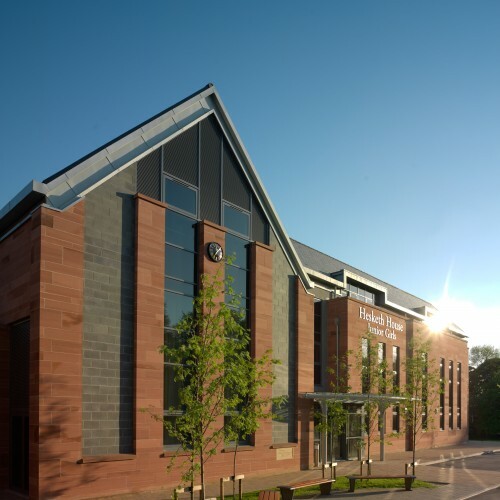 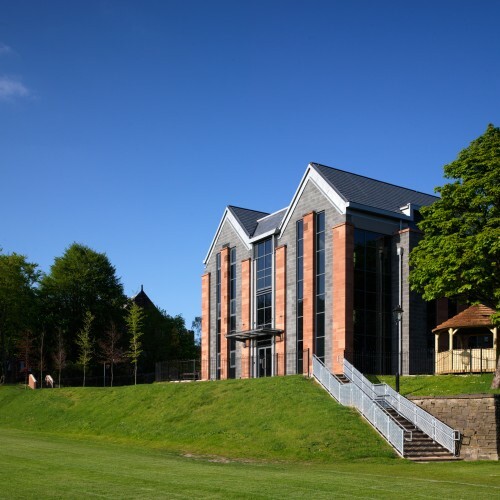 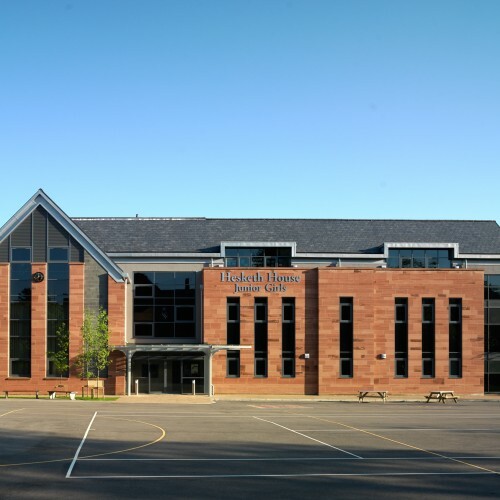 The building provides 10 classrooms directly associated with practical / resource areas as well as an impressive top floor open plan library and ICT suite.